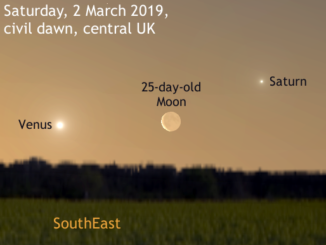 Mercury attains a very favourable western elongation of almost 28 degrees from the Sun on 11 April, which means that the innermost planet is a morning object in the eastern sky before sunrise. 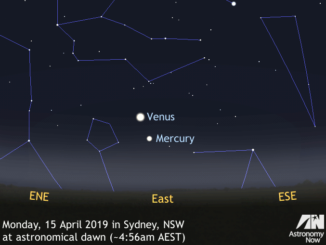 Antipodean skywatchers are in the enviable position of being able to see Mercury and Venus close together for several mornings in a dark sky before the onset of astronomical twilight. 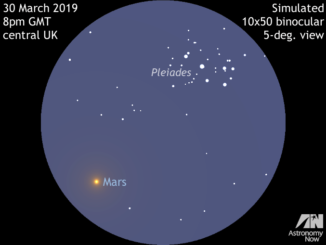 For ten nights starting 5 April 2019, asteroid 2 Pallas and unmistakable Arcturus – the northern celestial hemisphere’s brightest star – lie within the same field of view of typical 8× binoculars. 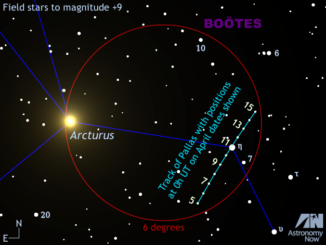 Also, don’t miss magnitude +7.9 Pallas’s very close conjunction with magnitude +2.7 star eta (η) Boötis at 22h UT (11pm BST) on the night of 10 April. 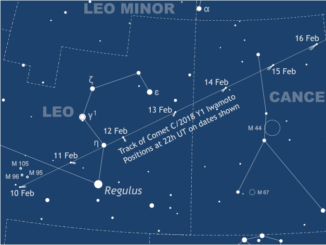 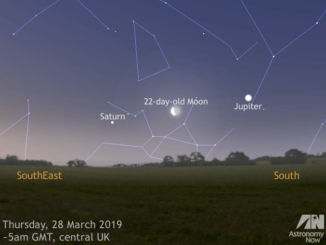 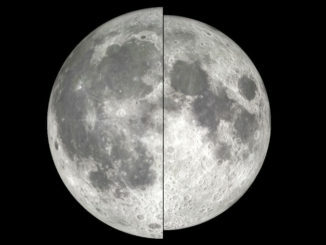 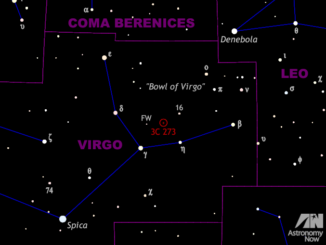 The innermost planet’s best evening showing of the year for northern observers occurs during the fortnight starting 20 February. 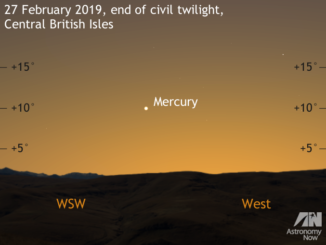 Skywatchers will get optimal views by sourcing a location that offers an unobstructed view of the horizon from west-southwest through west at the end of civil twilight, which is about 40 minutes after sunset for the heart of the British Isles.